MyOctopus sensor boards are easy connect (via I2C BUS components which easily connect to a micro-controller, computer-on-module or development board (Arduino, Edison, Beaglebone, Pi etc) to quickly give your project senses. 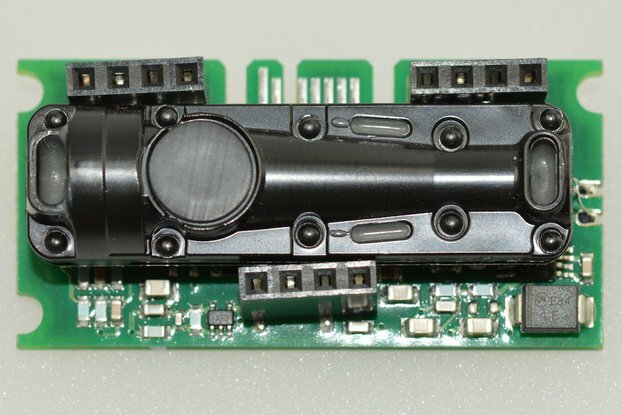 This sensor board can measure pressure 300 … 1100 hPa. We created it to allow our AI / ML to monitor the air pressure in the environment and to easily access and store data readouts from the sensors. 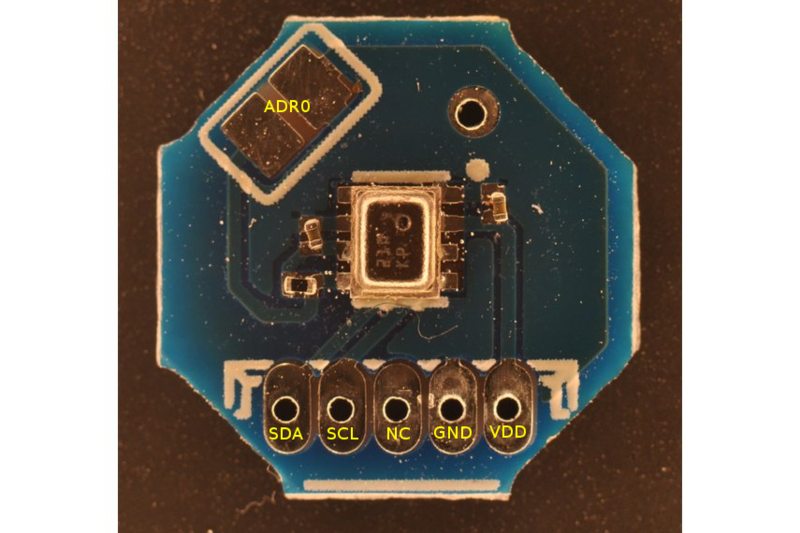 The chip is mounted on a thin light octogonal board. The emerging applications of in-door navigation, health care as well as GPS refinement require a high relative accuracy and a low TCO at the same time. 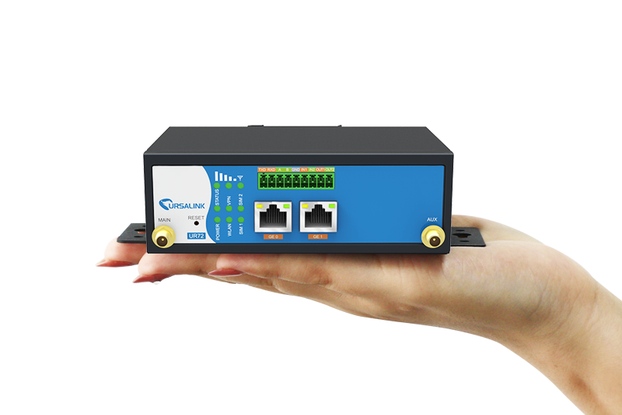 BMP280 is perfectly suitable for applications like floor detection since both sensors feature excellent relative accuracy is ±0.12 hPa, which is equivalent to ±1 m difference in altitude. 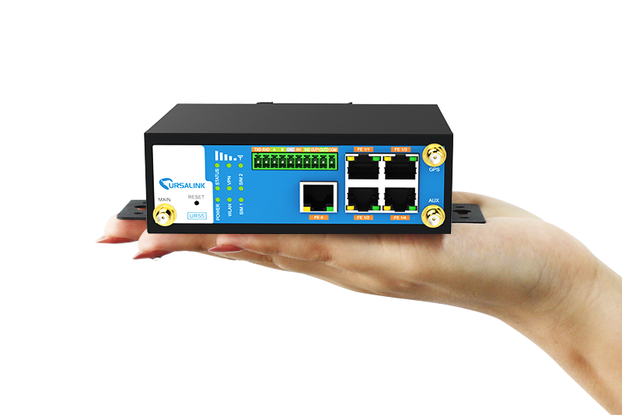 The very low offset temperature coefficient (TCO) of 1.5 Pa/K translates to a temperature drift of only 12.6 cm/K. 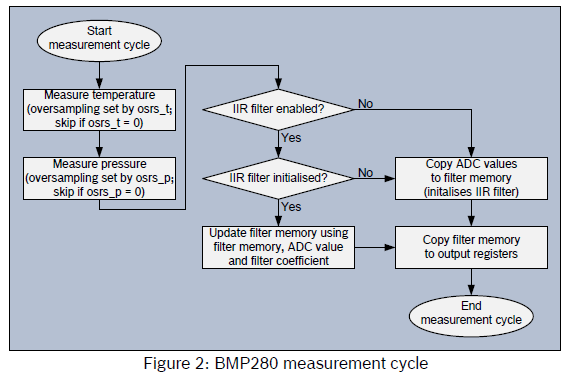 The BMP280 measurement period consists of a temperature and pressure measurement with selectable oversampling. After the measurement period, the data are passed through an optional IIR filter, which removes short-term fluctuations in pressure (e.g. caused by slamming a door). The flow is depicted in the diagram below.